This class was once the highlight of our week as we waited on the sand for other autisms Moms and Dads like us, as well as some amazing medical and therapeutic workers who joined us. Today our own children need us, so we have had to be realistic and honest about the offering we can sustainably provide. 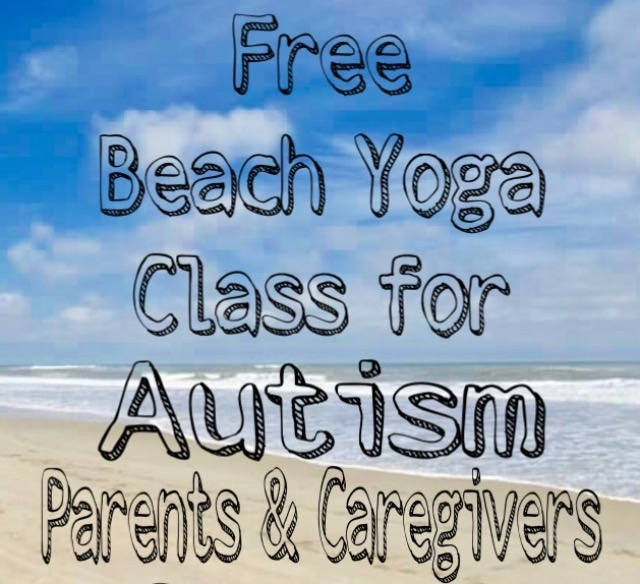 Thanks to some amazing connections in the yoga and Autism worlds, Jenny now volunteers with the Lowcountry Autism Foundation’s Autism + OM project which offers free yoga classes to families of those on the autism spectrum to it’s members thanks to some pretty amazing volunteers.